Home > F. A. Q. > HOW DOES THE OPINEA PANEL WORK? What is the Opinea Panel? To become a member of the Opinea Panel, just click on “JOIN OUR PANEL” and follow the instructions. You will be asked to provide some basic personal details and some further information about yourself that will allow us to send you appropriate surveys and product tests. Once your registration has been completed, you will receive a confirmation email that will allow you to activate your account. It is absolutely free to join the Opinea Panel. We will never ask you for money. Quite the opposite! It’s you who will earn money by participating in our surveys and giving us your opinion. There’s no expiry date and no commitment on your behalf. You are free to cancel your membership at any time. 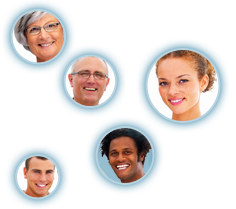 Why should I become a member of the Opinea Panel ? By becoming a member you will be able to participate in surveys and product tests. Your contribution is rewarded as you receive cash for each completed survey. The amount of money will vary according to the length of the questionnaire. You manage your own account online.